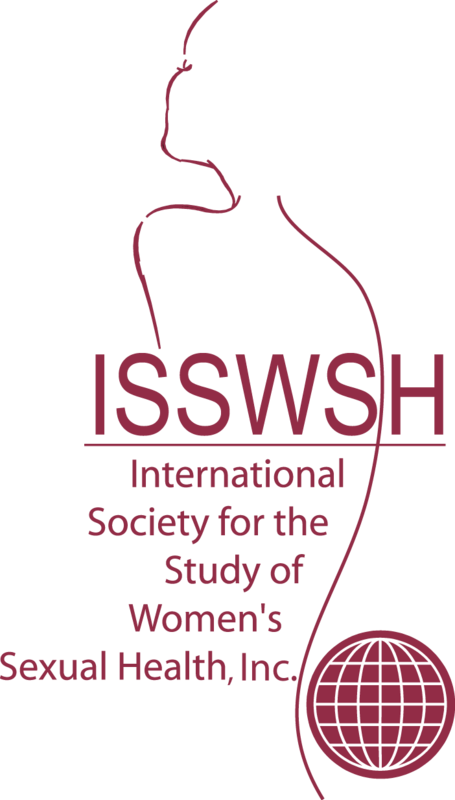 The mission of APAOG is to improve the health care of women by supporting physician/PA teams who provide cost effective, quality care to female patients and by promoting a network of communication and education between providers dedicated to women's health. 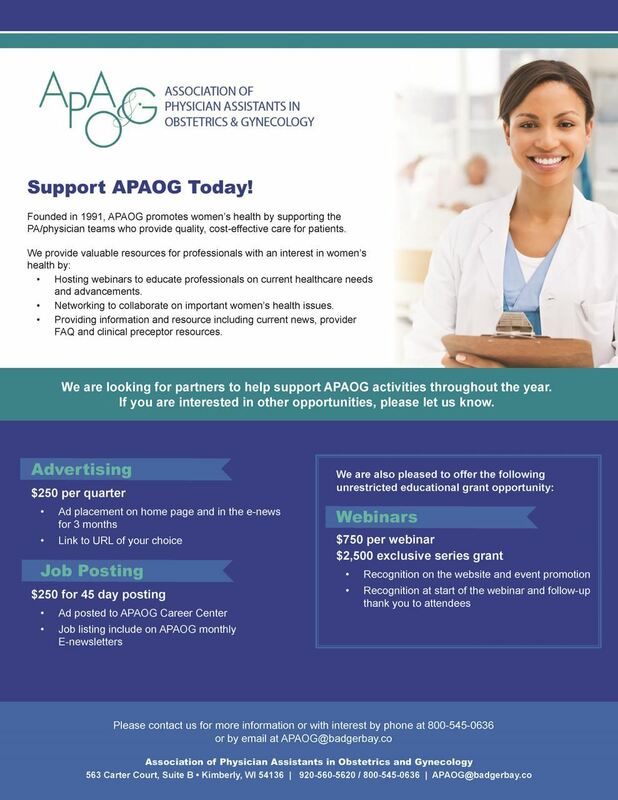 Your logo/ad will appear on the homepage of www.apaog.org and will also be included in the left sidebar of e-newsletters sent to the APAOG membership. Ads will be hyperlinked to a URL of your choice. Download advertising form here or simply fill out the online form below. Ad size/specs must be within specifications: 166 x 180 pixels submitted as a jpeg file - send ads to Grant@badgerbay.co. Looking for additional sponsorship opportunities with APAOG? Download sponsorship flyer here. Fill out the form below to submit your ad to the Association of PA’s in OBGYN.